St. Mary’s offers a variety of summer day camps designed to inspire and inform. Camps vary in length and subject – some of our most popular offerings include our Robotics and Java Summer Camp and Volleyball Camp. Many camps are designed for middle school or high school students, while some (like VolleyTots) are for much younger participants. 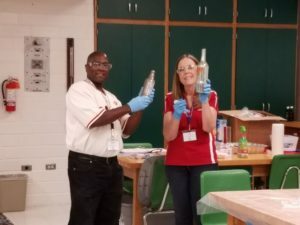 St. Mary’s University’s School of Science, Engineering and Technology hosts a week-long ASM Teachers Camp during the summer to help math and science teachers introduce new and low-cost experiments into their classrooms to make student learning more interesting. 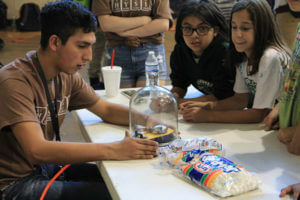 The camp is open to math and science teachers of students in grades 6-12. 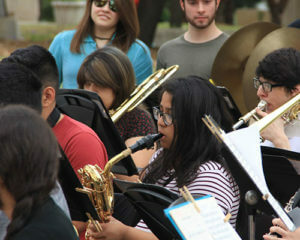 St. Mary’s University’s Department of Music hosts a week-long Band Camp during the summer to help middle school and high school students advance their musicianship. Participants will work with exceptional teachers and performers, including a guest artist, on their instruments during a full day of rehearsals, sectional, technique classes and elective classes. The camp is open to middle school and high school students in grades 6-12. Each year, Joffrey Texas holds ballet training sessions for students of high intermediate or advanced levels of ballet training. 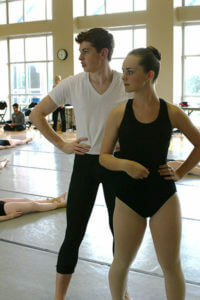 Classes include ballet technique, pointe, men’s technique and contemporary dance. Students also participate in lectures, repertory rehearsals, character dance, music for dancers and career-related seminars. The ballet camp accepts a maximum of 100 students who are of high intermediate or advanced levels of ballet training. Campers must audition for a spot in the camp. The Charlie Migl School of Baseball Camp is open to boys 6 to 15 years of age. Campers receive instruction on all aspects of the game, including hitting, pitching/throwing, defensive play and base running. The camp is held at beautiful Dickson Stadium inside The Park at St. Mary’s. Camps generally run for one week, Monday through Thursday. 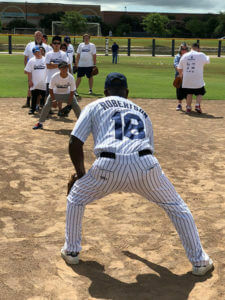 The baseball camp is open to boys 6 to 15 years of age. The Jim Zeleznak Basketball Camp offers a variety of half-day and all-day camps at St. Mary’s. Discounts are available for children of St. Mary’s faculty and staff, and the camp is held in the Bill Greehey Arena. Our goal is to provide every camper with a fun, educational experience that accelerates his or her development as a basketball player. A typical day at camp includes a session of fundamentals followed by 3-on-3 and 4-on-4 games. The last session is dedicated to 5-on-5 full court games. Basketball camp is open to boys and girls age 6-14. One of our most popular camps, this five-day camp teaches middle schoolers and high schoolers the basics behind software development. 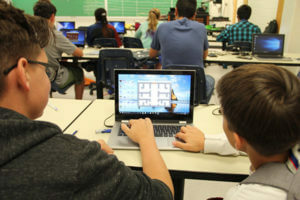 Campers have the opportunity to explore computer games and cybersecurity. Computer Science camp is open to 8th, 9th, and 10th graders. Cyber threats are a constant concern in today’s digital world, so children need to understand correct and safe online behavior. 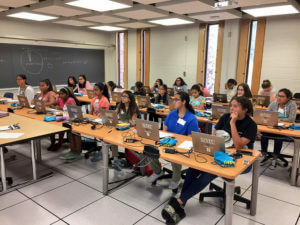 In this five-day camp for seventh- through 11th-graders, they will learn about various cybersecurity threats and attacks to which today’s computer users are vulnerable. They will have lots of hands-on activities, and campers will also have the opportunity to have fun by developing their own mobile apps. In this five-day camp for seventh through 11th graders, you will learn about designing and creating games for entertainment and educational purposes using a free and popular game development tool called GameMaker. Design and make a game that you will compete for prizes and show off to the group. The camp’s hours are from 9 a.m. to 5 p.m. The Girls Code! 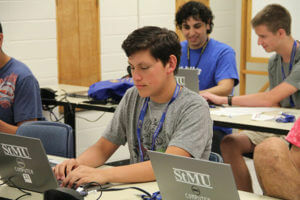 Summer Camp includes six one-week long camps about coding at St. Mary’s University taught by University professors. Campers may apply to attend as many weeks as they like. Each camp meets Monday through Friday from 9 a.m. to 5 p.m. during various weeks in the summer. Girls Code! camp is open to females in grades 5, 6, or 7, and the camp is free. St. Mary’s offers two camps for high school students: the Pathways Camp and the Career Explorations Camp. 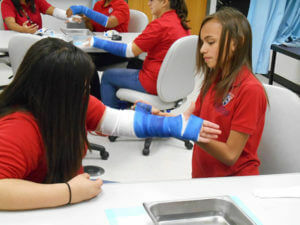 Both are designed to educate potential JAMP students about the JAMP program and the opportunities it provides, while presenting students with a unique, hands-on experience with healthcare professionals. The Pathways into Medicine Camp is for incoming St. Mary’s freshmen. The Career Explorations Workshop is for high school students. Both camps are free of charge. During the Physics and Environmental Science Summer Camp, students will learn more about how the works – all while visiting iFly for some indoor skydiving, taking a trip to the Southwest Research Institute for a space science tour, and visiting the Scobee Planetarium. This camp is intended for high school students, with a preference for juniors and seniors. Physics day camp is open to high school students, with a preference for juniors and seniors. The Pre-engineering Robotics and Java Programming Summer Program is a special 10-day summer program designed to give middle school or high school students with an interest in science and engineering an opportunity to explore engineering as a career. 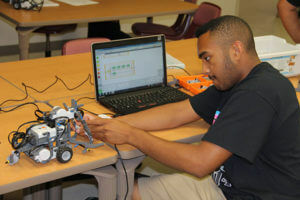 Robotics Camp is open to middle school and high school students and is free of charge. 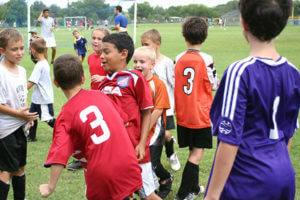 Total Soccer Camps are held on the Sigma Beta Chi Field on St. Mary’s campus. Training sessions are conducted by various University Coaches. There are a variety of camp sessions, from one-day camp to overnight camps. Please visit the Total Soccer Camp website for more details on each session. Total Soccer camps are open to boys and girls ages 5-13. Soccer in the States Camps are led by the Rattler Men’s Soccer coaching staff. The Around the Horn Softball Camp covers all facets of the game, with a major emphasis on hitting and pitching, and features new and exciting variations. The camp is held at the softball stadium inside The Park at St. Mary’s. Several sessions are held, including both all-day and half-day programs. Softball camps are open to campers ages 6-18.